Crookes is a suburb, set within the Yorkshire city of Sheffield. It is located to the west of the city centre, overlooking the beautiful Rivelin Valley. Set in the city, but close to the countryside, you get the best of both worlds. 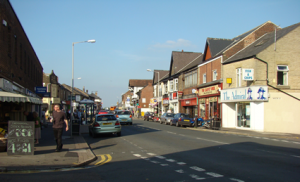 Home to a wide mix of people, including families, students and the older generations, Crookes has a vibrant “village in the city” feeling. With its diverse and exciting range of shops, restaurants and community services, there is something here for everyone! To learn more about Crookes, please visit the history of Crookes page, or find out about us on wikipedia. To find out more about Crookes Online, visit the site information page. Newsagents based at the beginning of the high street.